I feel like life has been full of amazing and joyful moments lately, I’m often overwhelmed by all the goodness in my life. And this DEFINITELY falls under the category of GOODNESS! 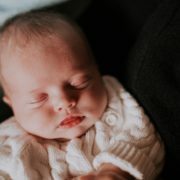 In January, we were blessed with the birth of our brand new niece, Charley Paige. Have I mentioned how much I love being an aunt? Because it is simply the best. I became an aunt for the first time 18 years ago, but I still get a happy feeling in my heart when I think of a new niece or nephew to love on. I’ve taken a bit of a break from family portraiture, but I couldn’t resist sneaking off to Western Kansas to photograph the newest addition to our family and shoot some video as well. 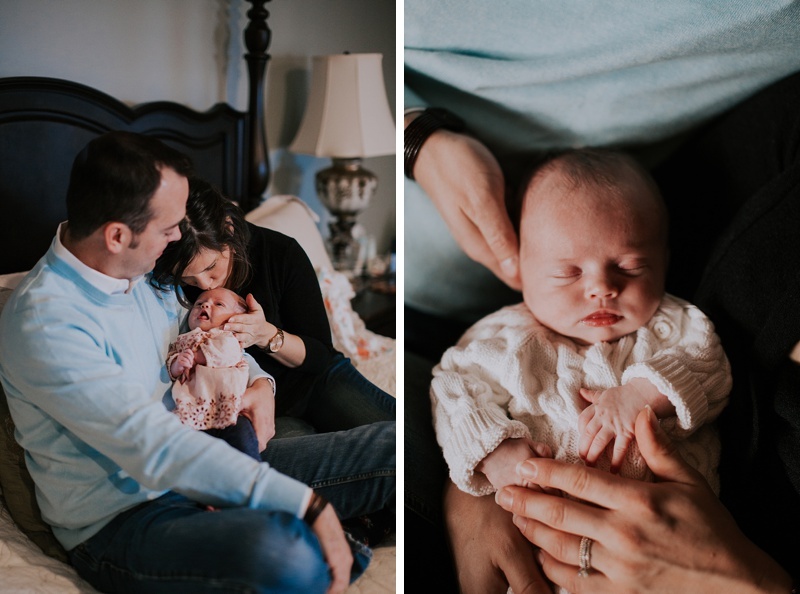 I loved being able to capture these moments with sweet Charley, who has already changed so much since we took these images! It’s incredible how fast these little people change and grow, and I think it’s so important to capture these fleeting moments if we can. Because we all know that with a new baby in the house, we’d never remember them otherwise! I’m so excited to see my in-laws, Ashley and Adrian, take on parenting for the first time! It’s such a beautiful, messy, fun, exhausting ride, and they are just at the beginning. So much love and laughter is in their future, I can’t help but smile every time I think of it! 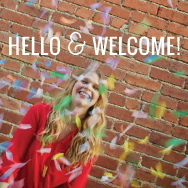 If you’re interested in capturing family or newborn images on film or in video form, sent me a note at megan@crazybananas.com for more information…I’d love to work with you! Ever since Lucy began reading the Harry Potter books a few years ago, she has dreamed of going to Hogwarts. 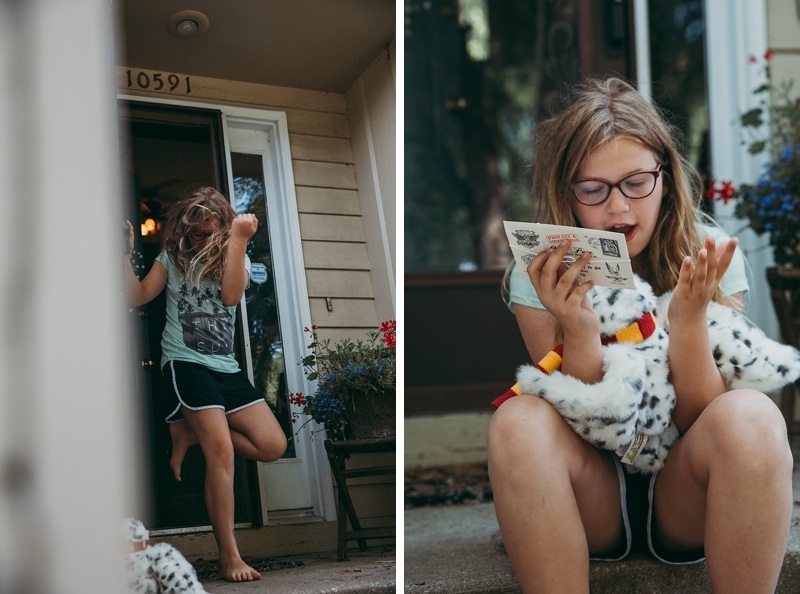 Her love of reading, and specifically her love of the Harry Potter series, is one of my favorite parts of being her mother. I always loved reading growing up, and I still find my greatest happiness between the pages of a book. When I was in my late teens and early 20s, I was one of those weirdos who waited in line at midnight to get the newest Harry Potter book as it was released. When I introduced Lucy to the series when she was about 8-years-old, I was giddy with excitement. And her enthusiasm hasn’t let me down! 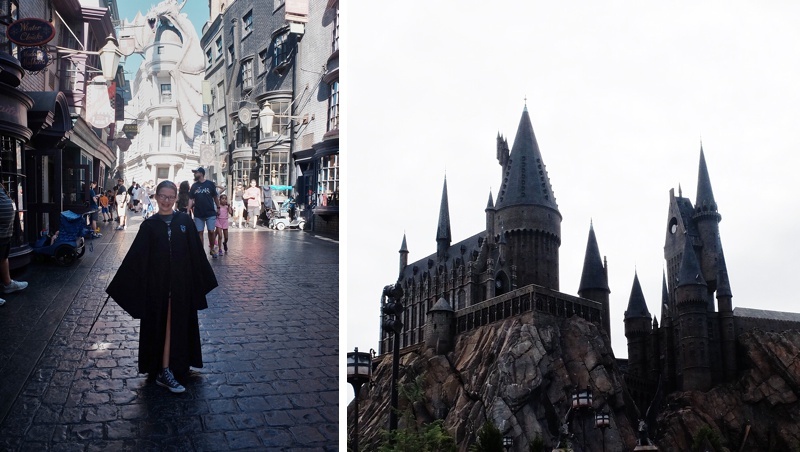 About two years ago, I overheard Lucy tell a friend that she was pumped for her 11th birthday, because we would be going to Universal Studios to visit Harry Potter World….um, what? Turns out, she assumed based on some of the plot from the books themselves. When Harry turns 11-years-old, he gets a letter saying he is a wizard and he has been invited to attend Hogwarts School of Witchcraft and Wizardry. So OF COURSE Lucy thought she’d be getting something similar on her own birthday. I told Trent about what I heard, and we began to hatch a plan for an epic family trip! This June, Lucy turned 11, and was surprised with a letter on our doorstop from Hogwarts, inviting her to school (aka Universal Studios)! It was incredibly fun pulling off this present for her, but there was a caveat…she had to wait four months for the trip. We did Disney a few years back in the summer, and it was pretty hot and miserable, not to mention crowded and extremely expensive. Instead, we decided to plan our trip around the kids’ school fall break in October. Flights and hotels were way cheaper, the weather was beautiful, and the crowds were totally manageable. We had the most amazing time on this trip! I can’t state it enough…parents of preschoolers and younger: It gets better!!! I love how easy my kids are to travel with these days, and they were the perfect age to do most of the activities on the trip. We stayed at the Hard Rock Hotel on site at Universal, and I highly recommend it. Not only were we only 5 minutes walking distance from the parks, the hotel itself was perfect for a family. My husband was sold when we checked in and the concierge asked him to pick an electric guitar to be sent up to the room from the “Guitar Menu.” Once the kids saw the pool, they were thrilled! The hotel has a ton of activities, including movies every night poolside. They also have “Camp Little Rock,” where parents can drop off the kids for a few hours to play. 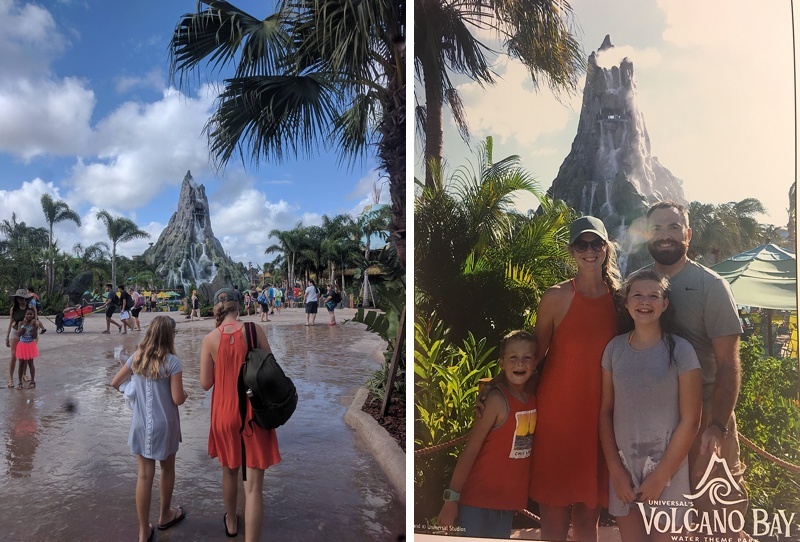 Trent and I took advantage of this by dropping the kids and the heading back to the park to do the giant roller coasters that the kids refused to try! But the main objective of the trip was to get to Diagon Alley and Hogsmeade, the two areas of the parks that are Harry Potter-themed. And can I just say how incredibly impressed I was with the attention to detail in these parks. I mean, I’m a bit of a Potter-head, and I was amazed every time we turned the corner! I mean, Trent went into the men’s bathroom and came out laughing, “Moaning Myrtle is in there!” You Potter-heads will know how hilarious that is! When we turned on to Diagon Alley, Lucy’s face made the whole trip worth it. This kid was so very happy. Watching her take it all in was a highlight of the trip for me. I love having a kid that loves reading as much as I do, so for her to be so excited to be in the world she’d read about for years was a gift. She is such an awesome child, it felt so good to do something that made her so happy. 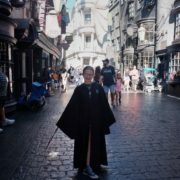 There are definitely a few things we learned on our trip, which I thought might be helpful to share, just in case you are planning a trip to Universal with your family of die-hard Harry Potter fans. We were lucky to have chatted with a few friends who had been before us, and it helped so much to be prepared. 1. Stay on site if you can! Universal isn’t huge like Disney, so you can walk everywhere if you stay onsite. You also get passes to get into the park early (which is huge) and to skip the lines on the big rides. Both of these were lifesavers for us! I don’t think we waited more than 20 minutes for any ride, and most were a 5 to 10 minute wait, if at all. 2. Buy park hopper passes. Trust me. Universal is split among two parks (Universal Orlando and Islands of Adventure), but they are so close to each other, you’ll probably want to go back and forth. They also just opened a water park called Volcano Bay, which is incredibly fun! In fact, Tate said going to the water park was his favorite part of the entire trip! 3. If you have early entry passes, use them to go directly to Ollivander’s in Diagon Alley. Getting a wand at Ollivanders is a huge part of the experience, and if your kid is a Harry Potter fan, it is a MUST. But the lines can get extremely long, so if you go early, you can get one-on-one attention from the wand sellers. 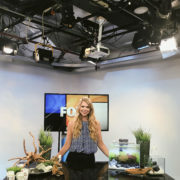 They will talk to your kid and ask them specific questions about their personality and what they like to do, then find the perfect wand for them. The attention to detail is amazing! My kids loved the entire experience. Make sure you ask for an interactive wand, which you can use throughout Diagon Alley and Hogsmeade to cast spells! They will also give you a map of where the spell spots are located, so you can find them easily. If you’d rather just get a character wand, you can do that too. Both of the kids got personalized wands, while Trent and I got Harry and Hermione’s wands. 4. The two major rides in the Harry Potter areas are Escape from Gringotts and The Forbidden Journey. These were much scarier than anticipated! We actually didn’t even end up doing Escape from Gringotts because my kids were too freaked out. The Forbidden Journey was fun, but it was definitely more intense than we were anticipating. If you have sensitive kids, like mine, maybe skip it! 5. Make sure to take the Hogwarts Express train! This was one of the coolest parts of the trip, and it was a super mellow ride. The train actually takes you from Diagon Alley (in the Universal Orlando Park) to Hogsmeade (in Island of Adventure), so if you don’t have a park hopper pass, you will have to buy an additional ticket. When we went into King’s Cross Station, all of the workers were so in character, it was the best! They were “muggle train workers” so they kept asking Lucy why she was wearing a bathrobe (she was wearing her brand new Ravenclaw Hogwarts robes). She was so giddy and delighted! The train has a cool, interactive component, and the ride is different coming and going, so make sure to take it in both directions! 6. BUTTERBEER! Okay, this is definitely a personal preference thing, but I was obsessed with frozen butterbeer. You can also get it unfrozen, but I wasn’t as much of a fan. 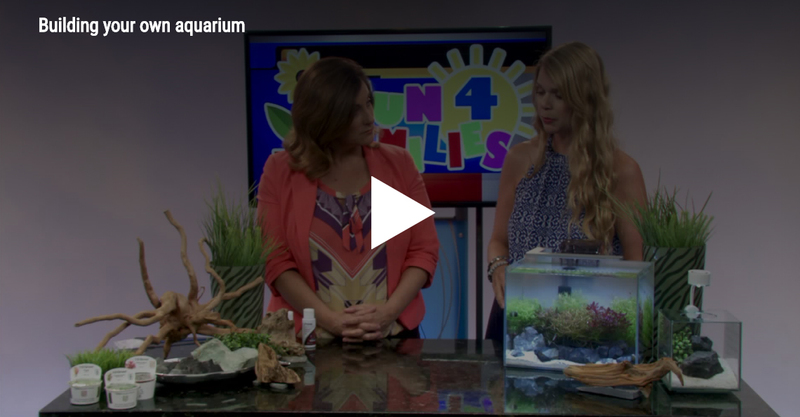 My kids and Trent all thought it was gross…but that just meant more for me! We also had breakfast at the Leaky Cauldron, which was better for us than a traditional English lunch there. Pancakes and pumpkin juice! 7. Go get some treats at Honeydukes! Our favorites were the chocolate frogs and the sugar quills (which really write on paper if you get them wet). 8. Go see a show! 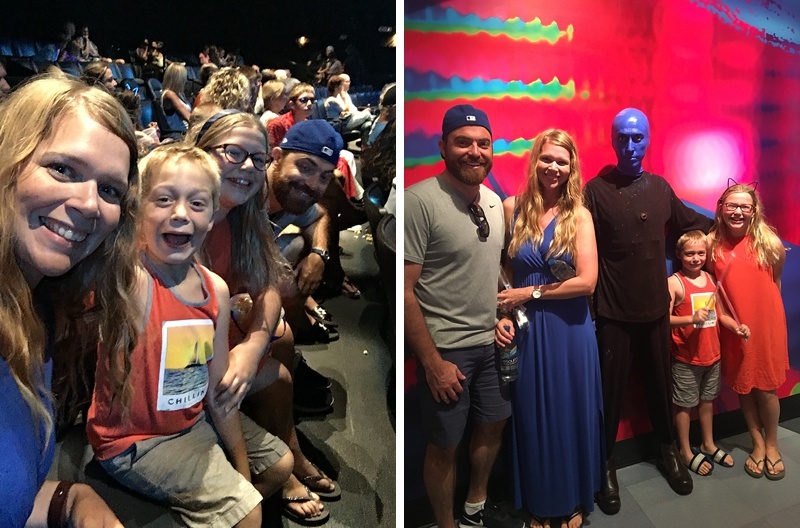 We took the kids to see the Blue Man Group, and it was a total highlight! Neither of the kids had been to a concert before, and this one was perfect for them. There were lots of kids and families in the audience, so we fit right in! – The Animal Actors Show was a total favorite in our crowd and was a nice chance to sit down and chill after a few hours of rides. Bonus: Lucy and Trent met “Frank” from Men In Black in the bathroom line! All in all, this was one of the best vacations we’ve ever taken as a family! I love these nerds, and I’m so glad I get to do life (and roller coasters) with them! If you’ve been following my online adventures for the past few years, you’ve heard of our annual trips to Western Kansas for dance camp. They are magic, you guys. 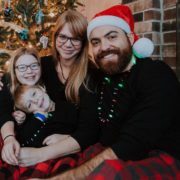 I’ve written about them quite a bit, but this time around I wanted to share what it’s really like. 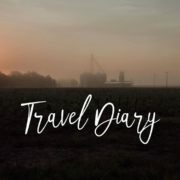 I decided to attempt to capture some of our trip on film, and put together a little Travel Diary with some of our adventures. We are so grateful to kick off our summer every year spending time with old friends and indulging in the slower pace of life in the country. But most of all, this video is a little love letter to my in-laws, who invite us in to their quiet home every year for a week and let us take over their lives! The last part of the video is my favorite, because it truly shows how lucky we are to be a part of this family. Aunts, uncles, grandparents, cousins…this kind of closeness and joy is exactly what I always wished for my children, and I could not be more thankful that it is their reality.